Traditions: I love to find a link between food and cultural practices. Conviviality: Food is for sharing, for communication and dialogue; it is also a form of love which implies ‘I take you under my wing’. Regions: They are full of exciting and sometimes forgotten recipes. Eastern Mediterranean: A cultural mosaic. Seasons: I love it when they dictate the menu. Local: Whenever possible I choose foods that are produced close to where I cook. Creative: I enjoy the challenge of experimenting with flavours and concocting new ideas. Relaxing: I unwind when I prepare a meal. Cosmopolitan: I am curious about all cuisines and have learned from every country I have stayed in. Born in Lebanon, I lived in London for 39 years, and I am currently based in Cambridge, MA, U.S. I am a cook and food writer and the author of three books on pulses. I am passionately interested in the history, culture and aesthetics of food as well as its binding effect on people. The Mediterranean is my comfort zone. Another passion of mine is film and photography. I went to art school and trained as a filmmaker, going on to work as an editor in the British film industry for over 10 years. I later organised events for the fashion and retail trades. Meanwhile I continued to take photos and developed my interest with an MA in film studies. I joined many cooking workshops in London and enrolled in the Cordon Bleu in Lima, Peru, to explore the country’s new culinary trends. I am mostly self-taught; my real school was hanging around my family’s kitchen as a child, unwittingly picking up skills. 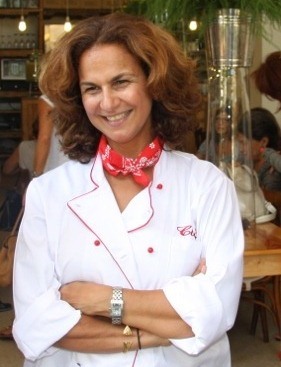 In 2007 I co-founded The Libaliano Kitchen, a cooking workshop and blog, with my Italian friend and cooking partner Maria Rosario Niada Lazzati. Between 2012 and 2015, together we published three books: ‘Lentil’, ‘Chickpeas’ and ‘Beans and Friends’. The books proved to be a success and in 2016 they were combined as a box set. I cook, I develop my own recipes, and I run cooking classes on demand. When I am not cooking I take photos of almost everything I eat.